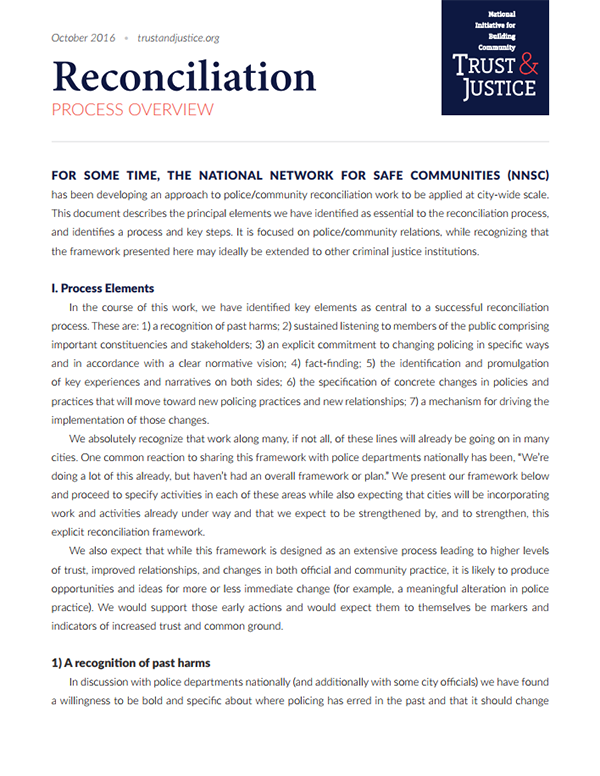 The National Initiative for Building Community Trust and Justice maintains this information clearinghouse to provide the latest research, tools and guides, best practices, and a wide variety of other resources to communities and law enforcement agencies interested in engaging in processes to reduce implicit bias, enhance procedural justice, and promote reconciliation. 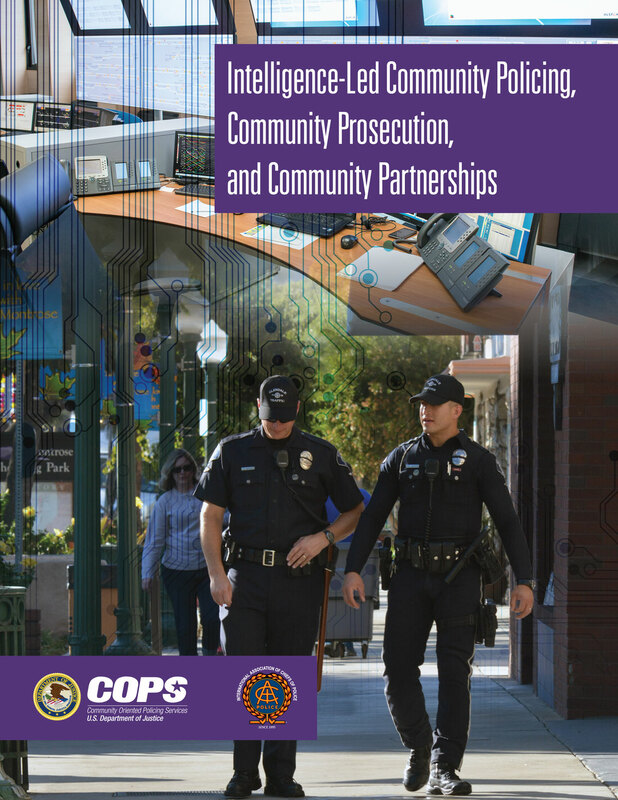 The goal of this course is to engage police officers and the communities they serve in critical thought and discussion about contemporary mechanisms of bias regarding race, gender, sexuality, and other identities within the context of law enforcement centering on identity traps and drawing on the scholarship of implicit bias and self-threats.​ Click here to view and download the PowerPoint. 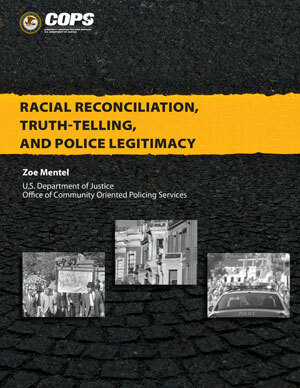 The goal of this course is to engage police officers and the communities they serve in critical thought and discussion about contemporary mechanisms of bias regarding race, gender, sexuality, and other identities within the context of law enforcement centering on identity traps and drawing on the scholarship of implicit bias and self-threats. Click here to view and download the PowerPoint. The goal of this course is to reintroduce the principles of procedural justice, gain a deeper understanding of the core concepts of police legitimacy, and build better relationships within the communities that we serve via the use of visual and scenario-based training. Click here to view and download the PowerPoint. 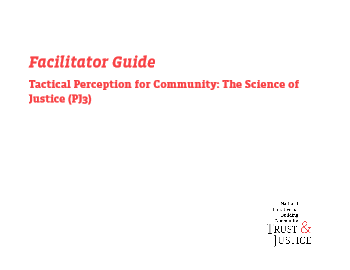 The National Initiative for Building Community Trust and Justice maintains this website as an information clearinghouse to provide the latest research, tools and guides, best practices, and a wide variety of other resources to communities and law enforcement agencies interested in engaging in processes to reduce implicit bias, enhance procedural justice, and promote reconciliation. Beattie, G., Cohen, D., & McGuire, L. (2013). An exploration of possible unconscious ethnic biases in higher education: The role of implicit attitudes on selection for university posts. Semiotica 2013, 197, 171-201. Tyler, T.R. (2009). 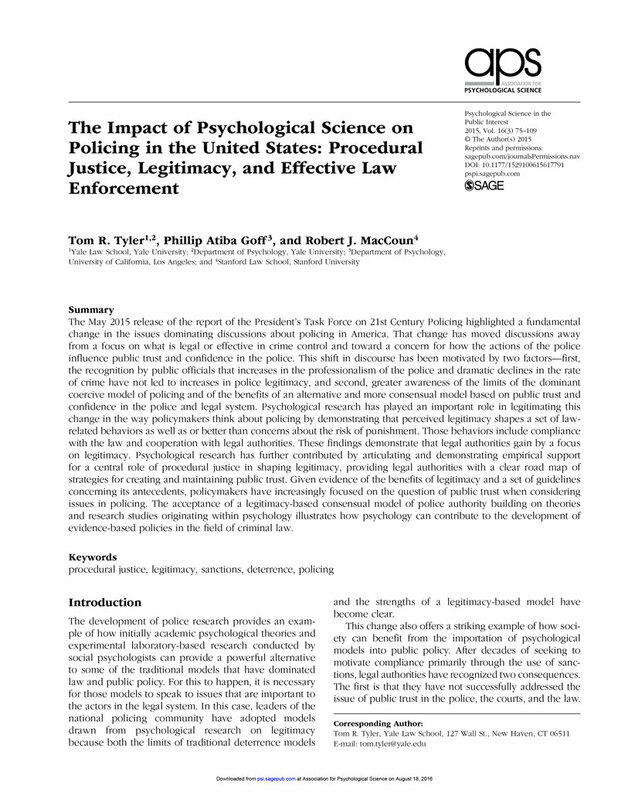 Legitimacy and criminal justice: The benefits of self-regulation. Ohio State Journal of Criminal Law, 7, 307-359. Hough, M., Jackson, J., Bradford, B., Myhill, A., & Quinton, P. (2010). 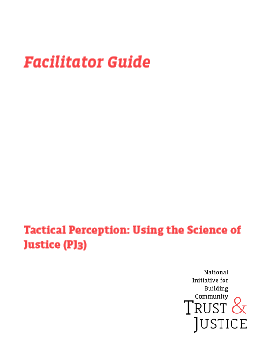 Procedural justice, trust, and institutional legitimacy. Policing, 4(3), 203-210. 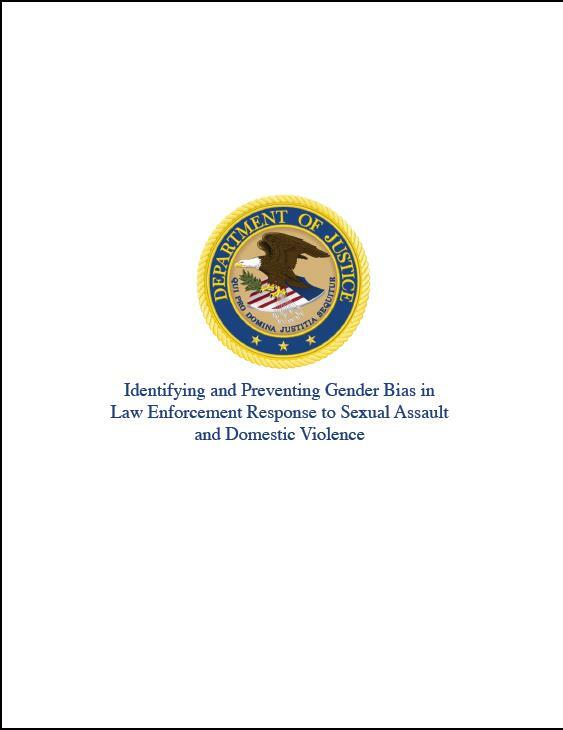 U.S. Department of Justice, Office of Community Oriented Policing Services (2012). 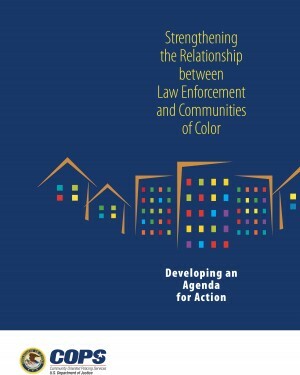 Strengthening the Relationship Between Law Enforcement and Communities of Color. Washington, D.C.: U.S. Department of Justice Office of Community Oriented Policing Services. Tyler, T. R. (2001). 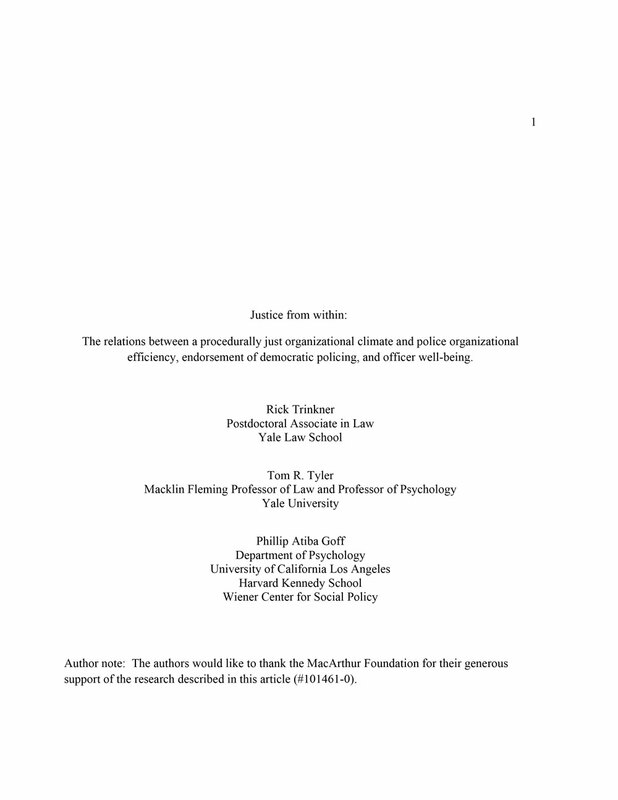 Trust and law abidingness: A proactive model of social regulation. Boston University Law Rev., 81, 361-406. Tyler, T. R. (2005). Policing in black and white: Ethnic group differences in trust and confidence in the police. Police Quarterly, 8(3), 322-342. Tyler, T. R., & Huo, Y. (2002). 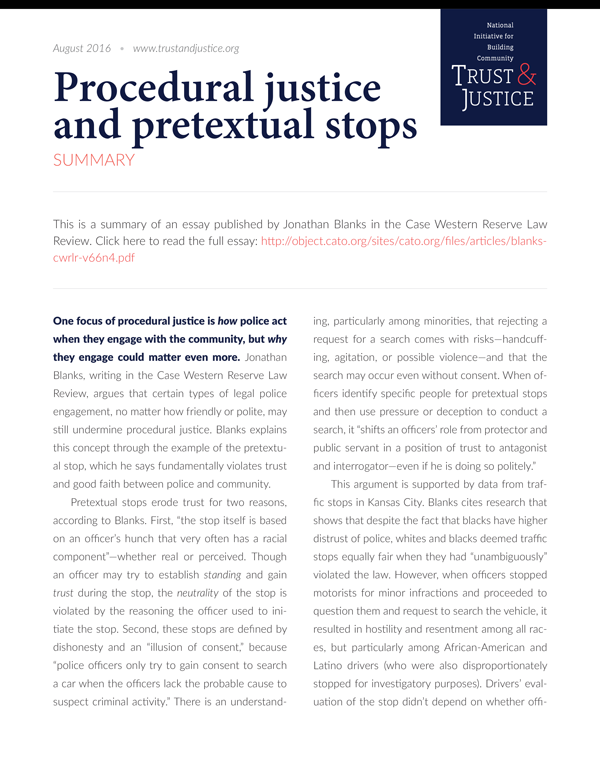 Trust in the Law: Encouraging Public Cooperation with the Police and Courts Through. New York: Russell Sage Foundation. Tyler, T. R. (1988). 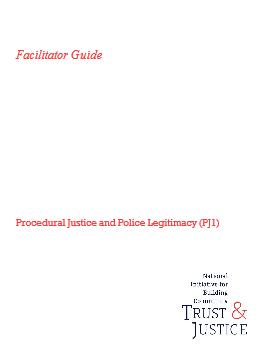 What is procedural justice-criteria used by citizens to assess the fairness of legal procedures. Law & Society Review, 22(1), 103-136. Tyler, T. R. (2006). Psychological perspectives on legitimacy and legitimation. Annu. Rev. Psychol., 57, 375-400. Tyler, T. R., & Fagan, J. (2008). 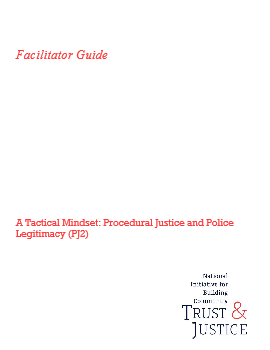 Legitimacy and cooperation: Why do people help the police fight crime in their communities. Ohio St. J. Crim. L., 6, 231-275.